Back in December 2015 we reported that Big Warsop had funded a five day training course aimed at helping participants get jobs in the security industry. 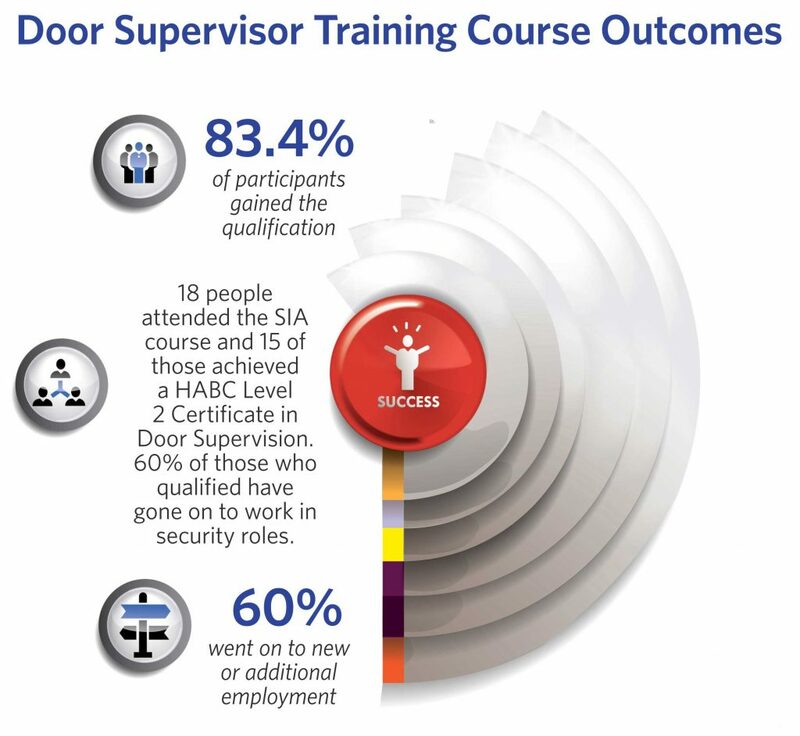 Of the 18 people who attended, 83.4% gained a qualification in Door Supervision, which was a tremendous success rate. Big Warsop has recently been in touch with Prosec, the local training company that delivered the course, to get an update on what has happened to the course graduates since then. We’re pleased to report that 60% of the people who qualified have gone on to new or additional employment, most of them in the security industry. The work they are doing ranges from security roles in pubs and clubs, event and contract security, through to roles as security officers in local companies and hospitals. Whilst it was satisfying to know that 83.4% of the people who benefited from this training gained new skills and a qualification, it is even more rewarding to learn that more half of those people have been able to use the qualification to secure new or additional employment.